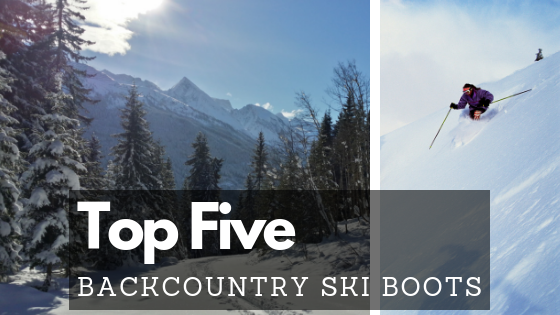 There are so many factors to consider when you’re purchasing a backcountry ski boot. What kind of skier are you? Do you want something uphill oriented or downhill performance oriented? What kind of buckling system do you prefer? 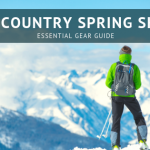 The list can go on and on… We’re here to help you sift through some of those questions and share some of our favorite backcountry boots on the market. It’s important to remember that ultimately the most important part of this decision is how the boot fits on your foot. Regardless of flex, weight, price, or performance we always put comfort and fit above everything else. 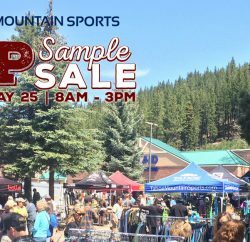 So if you can, stop by Tahoe Mountain Sports and let us fit you into your perfect backcountry ski boot! We are so impressed with the upgrades to the Zero G Tour Pro this season. It’s way lighter than previous versions and has an improved uphill range of motion of 55 degrees. You have to get this boot on your foot to appreciate it. You’ll notice how light it is right away and how easily you can flex back and forth thanks to it’s large range of motion. At 1320 g, the Zero G Tour Pro is really in a category of it’s own. You won’t find many other touring boots with a 130 flex weighing in just over 1300 g. This boot is both incredibly light and incredibly stiff. 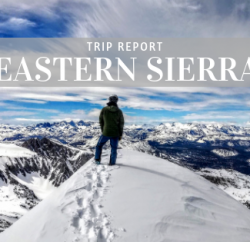 It’s perfect for folks who like to ski fast and aggressively in the backcountry. 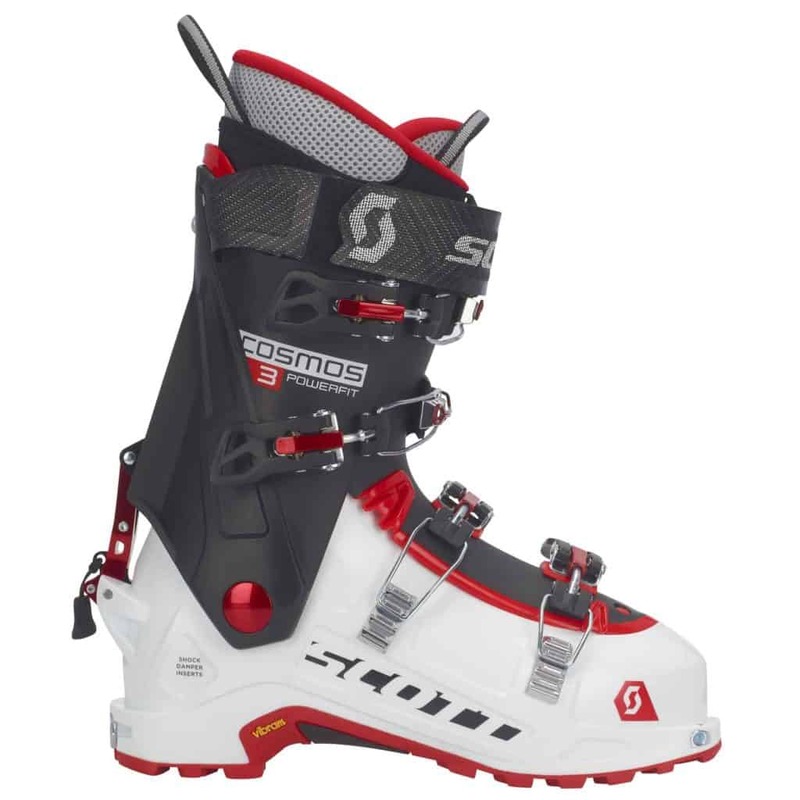 One major advantage this boot has going for it is that it’s compatible with the new Salmon/Atomic Shift binding. 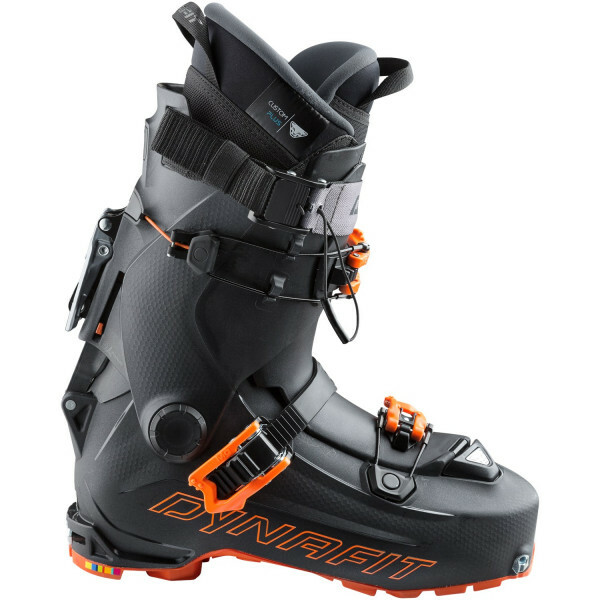 The Hoji Pro Tour is the second Dynafit boot designed by pro skier Eric Hjorleifson. It’s new for this season and showcases innovative technologies that allow it to ski and tour exceptionally well. It has a speed nose which lightens the boot up and brings the tech fittings back towards your toes for a more natural and efficient stride. The walk mechanism is completely unique on this boot. It controls the power strap, top buckle, inner workings of the boot. With one simple flip of the walk lever, the power strap and top buckle loosen and the inner fittings disengage to allow a 55 degree of motion. When you flip the mechanism into ski mode, the power strap and buckle tighten and internally, the lower shell and upper cuff couple. This internal system makes the Hoji stiffer than most boots and gives it exceptional downhill performance. Unlike previous Dynafit boots, the Hoji has a large 103.5 mm last. This is great news for people with wider, high volume feet. A quick heat mold of the thick, cushy liner helps accommodate wider feet and lets you get the most out of the wide toe box. 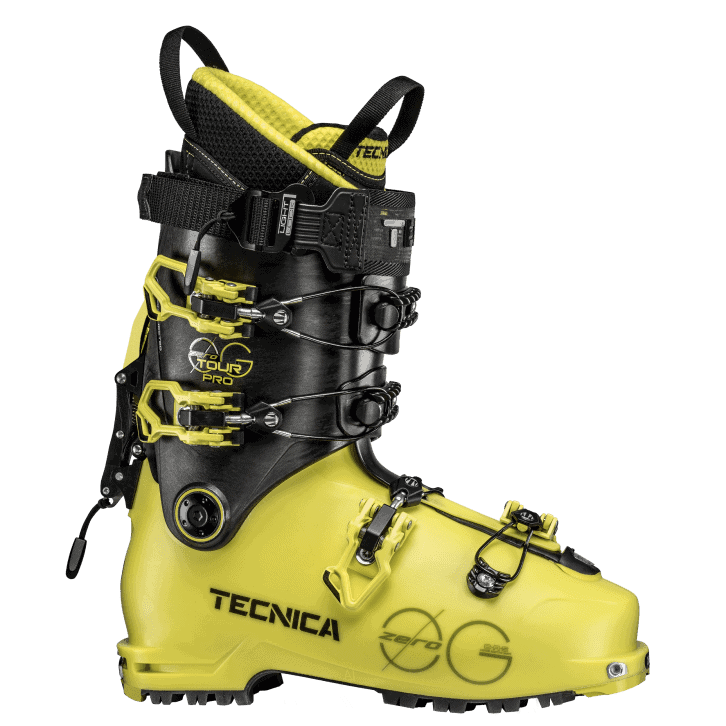 While this boot stands out in our list of the top backcountry ski boots, there are a few drawbacks. It is not compatible with the Salomon/Atomic Shift binding or the Marker Kingpin. It’s also not compatible with automatic crampons, however Dynafit makes a “Cramp-In Crampon” for this boot which is lighter than most automatic crampons. If you have a wide, high volume foot, you’ll probably love this boot. With a 103.5 mm last, the Scott Cosmos III offers a roomy and accommodating fit for wide, high volume feet. It’s traditional four buckle system is familiar and feels just like strapping into your alpine boots. This boot has a 60 degree range of motion allowing you to walk freely and easily, especially in steep terrain. Transitions are easy in this boot with the external walk mechanism, a well received update from previous versions. It’s 115 flex makes the Cosmos III is a great everyday touring boot. It’s not the stiffest, burliest boot on our list (see the Zero G Pro Tour or Dynafit Hoji for that) but it is a solid all around touring boot that performs well on the downhill and is exceptional on the uphill. *The Cosmos III is available in a women’s version, the Celeste III. The Maestrale RS is a staple on our wall at Tahoe Mountain Sports. It’s a stiff, aggressive boot that is right up there with the Hoji and Zero G Pro Tour for people that are skiing fast and aggressively, or driving bigger skis in the backcountry. One of my favorite features on this boot is the strap over the ankle which really helps draw your heel in and keep it secured. This is a medium volume boot and fits many different shapes and sizes of feet. You’re not making sacrifices with this lightweight boot – it’s powerful and responsive on the downhill and comfortable and light for the uphill. A 60 degree range of motion gives you uphill comfort and efficiency. 60 degrees is a huge range of motion; that’s typically more than most people can flex their foot! *The Maestrale RS is available in a women’s version, the Gea RS. 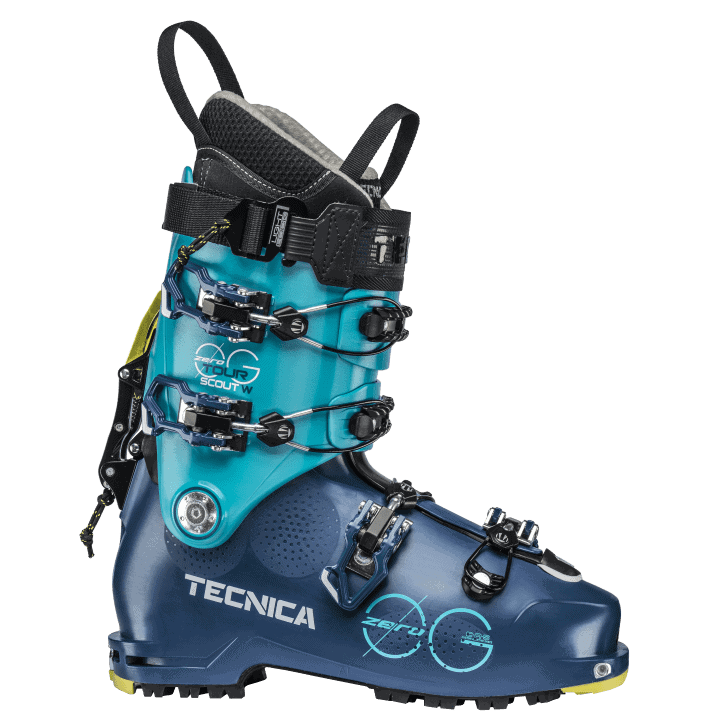 Tecnica’s Zero G Tour Scout is an awesome choice for ladies looking for a comfortable, light boot for the uphill that can charge downhill. It uses a familiar four buckle system and has an external walk mechanism to keep transitions quick and simple. 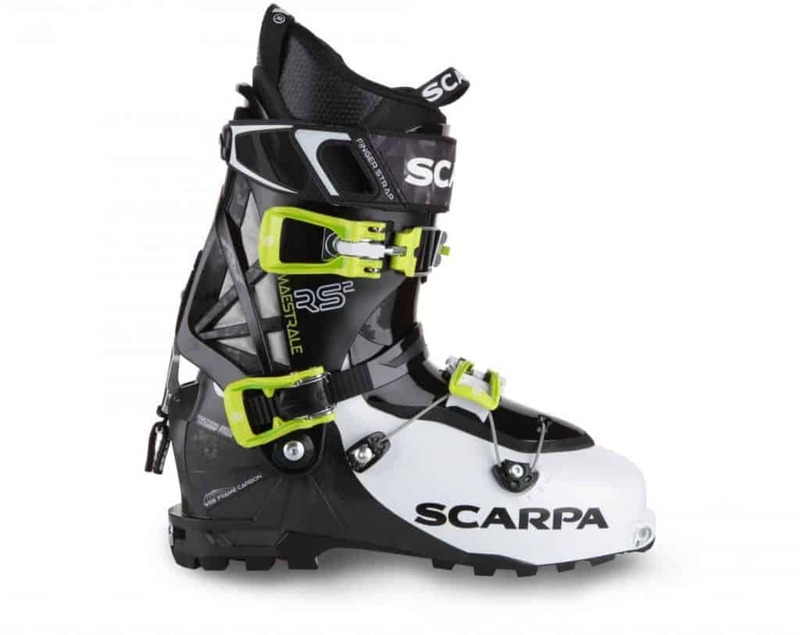 The 115 flex and overall stiffness puts this boot in a performance category. 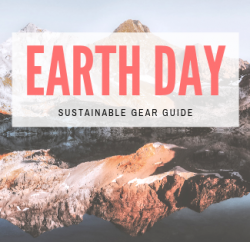 It’s a touring boot that you can drive aggressively but like the rest of the boots on our list, it doesn’t make uphill sacrifices along the way. This boot has a 55 degree range of motion, which is a close to the maximum range of motion most people have in their ankles. It’s a medium volume boot with a 99 mm last. It’s light, comfortable, stiff, and easy to use. The bottom line with the Zero G Tour Scout is that it’s a fantastic all around touring boot that climbs well and skis better. Are you building a backcountry touring setup? 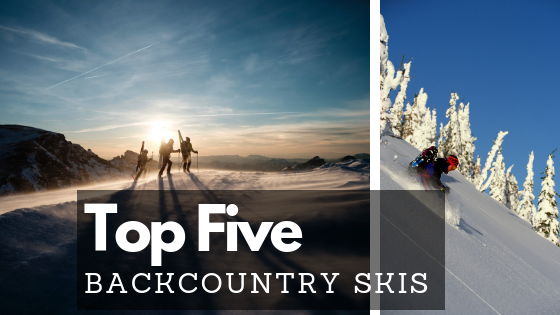 If so, check out our Top Five Backcountry Skis! 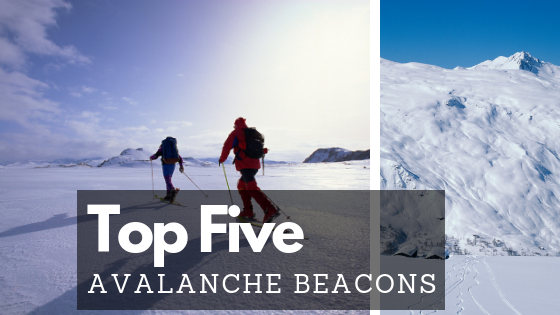 And our Top Five Avalanche Beacons!